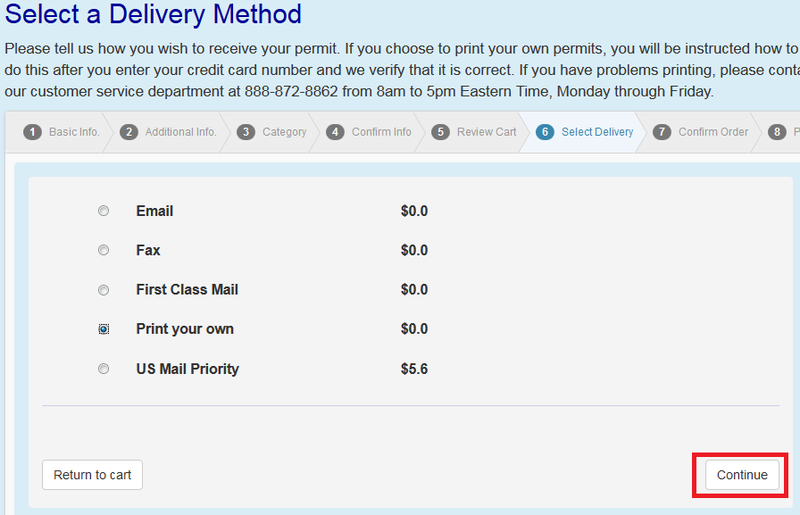 Once you have checked out from the "Shopping cart" screen (step 19 in Buying A New Permit or step 16 in Renewing An Old Permit), the system will take you to Select a Delivery Method screen. Click on Print your own. Enter the your credit card information and make the payment. 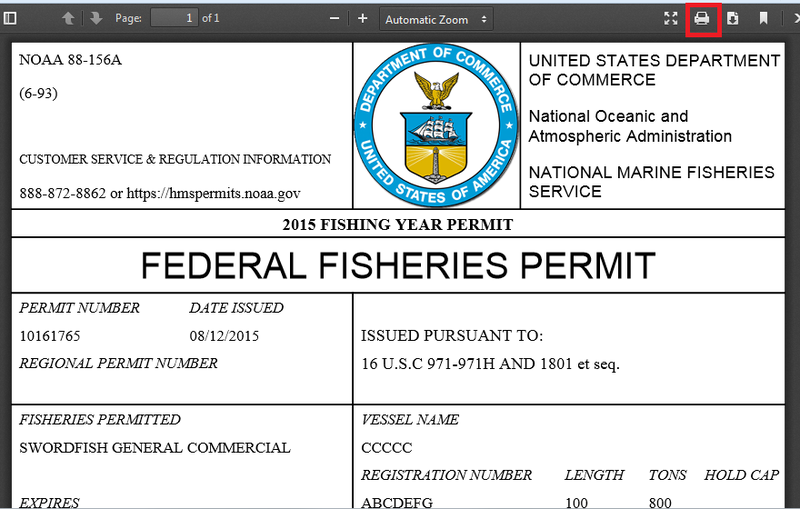 Click the Print button next to the permit you would like to print. You should then see the permit in a new window. Click on the Printer icon placed in the top right hand corner of the new window. 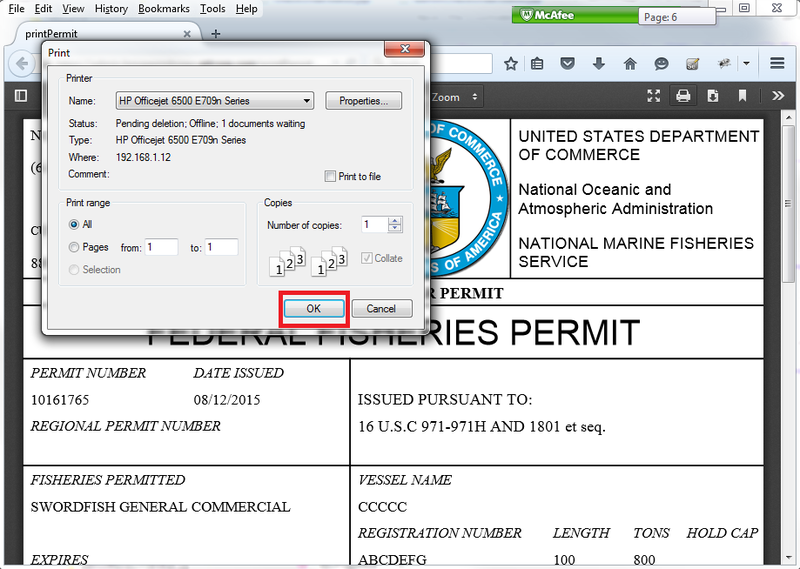 In the "Print" dialog box, select your printer and click OK. 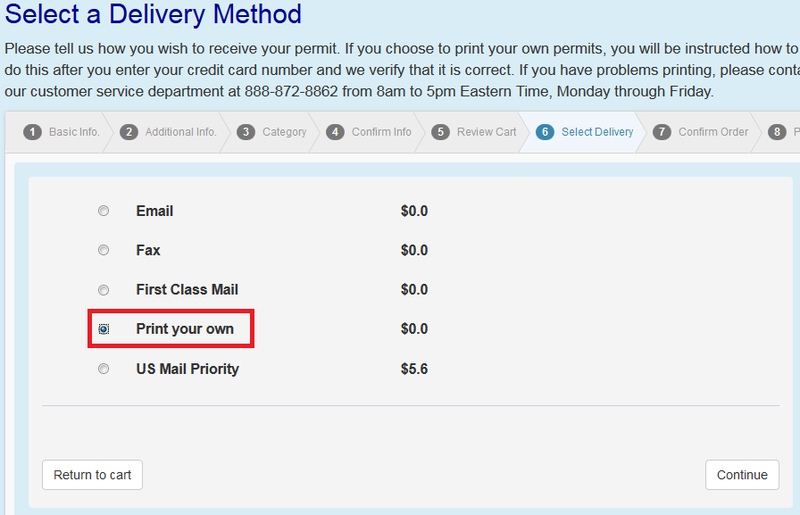 If all goes well, you will have a printed copy of your permit coming out of your personal printer. 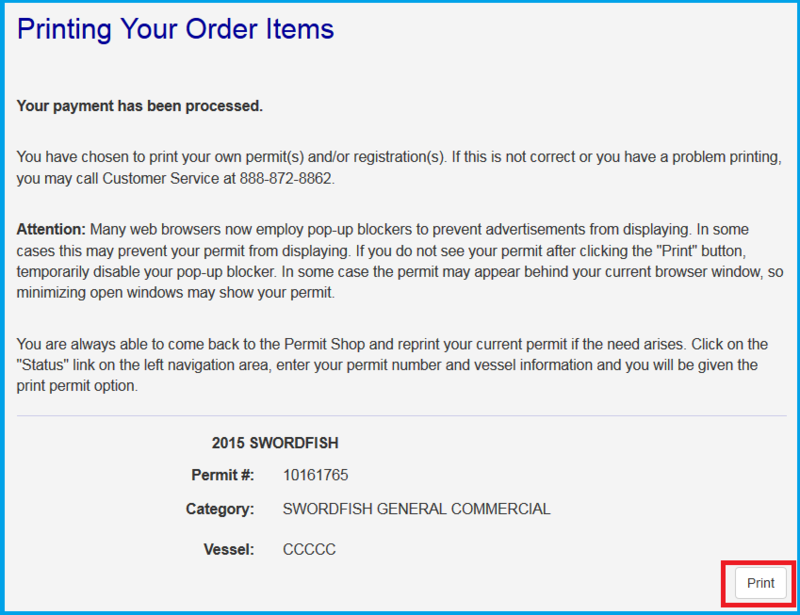 If your permit does not print, please call customer service at 1-888-872-8862.